A Year of Being Here: Melissa Studdard: "I Ate the Cosmos for Breakfast"
Melissa Studdard: "I Ate the Cosmos for Breakfast"
chicken—all beaten to batter and drizzled into a pan. "I Ate the Cosmos for Breakfast" by Melissa Studdard. Published online by Ishaan Literary Review, Issue #3 (Spring 2013). © Melissa Studdard. 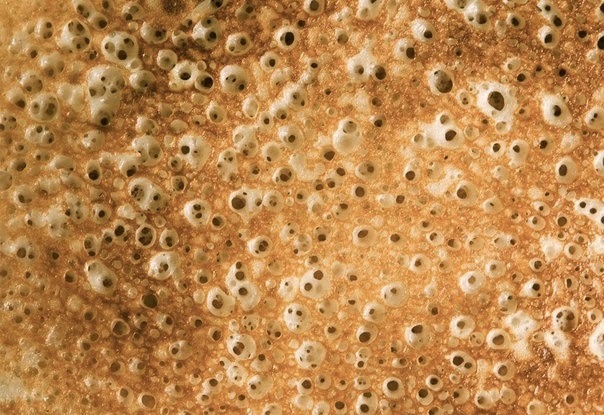 Photography credit: "Fried pancake background close-up," by Aleksandr Lobanov.